Hiddleswift has nothing to with it. 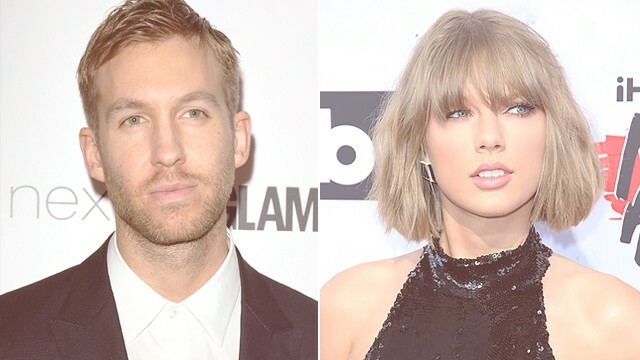 Calvin Harris' new track allegedly isn't about his ex Taylor Swift and her new romance with Tom Hiddleston. The Scottish DJ split from Taylor last month, and the singer went public with her relationship with Thor actor Tom not long after. Taylor is known for writing songs about her failed romances, but it was claimed on Thursday that Calvin had pipped her to the post by penning new song Ole for John Newman. However, sources have now claimed that the track was written months before Calvin and Taylor broke up, so couldn't have been referencing the so-called "Hiddleswift". "People are just making assumptions to get attention for a song," a source close to Taylor revealed to Us Weekly. "There’s no way it could be about Tom." “It has nothing to do with Tom and Taylor." The insider added that Ole is primarily a Newman song, which simply features Calvin on it. Lyrics for the track include: "I see online that you begun to be a good girl and take trips with your boyfriend. Being attentive, continue to pretend ... You’ve hidden my name in your phone so you can call me to tell me you’ve been going through hell. Left him alone and you booked in a hotel." Another line was thought to refer to Tom's Thor character Loki: "Low-key you won’t tell none of your friends about me,” the site quotes." As the full audio for the track dropped, Taylor and Tom were seen beginning the next stage of their romantic tour of the world as they touched down in Australia. After leaving Los Angeles on Thursday morning, the couple were seen arriving in Australia as Tom prepares to start shooting Thor: Ragnarok. Since Tom and Taylor debuted their romance there has been much speculation about the nature of their relationship, with some claiming that it is just an elaborate set up for an upcoming music video.